We make display graphics and signage that captivate viewers, deliver information, help people find their way and elevate your brand. If you can think it, we can make it. Let Seven Barks Graphics bring your name and big vision, to life. Utilizing state-of-the-art, large-format digital printers, our staff is skilled at creating razor sharp graphics that pop. We specialize in printing for a wide array of installations including murals and sidewalks, and can handle all graphics for your next event or tradeshow. 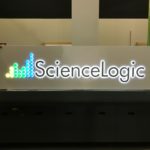 From lobby signs to point-of-purchase displays, we have worked with a number of organizations to create signage that informs, meets compliance standards and grabs attention. Whether you need a corporate lobby sign or menu board, trust in the proven experience of Seven Barks. Create an outdoor presence for your brand or identity that truly stands out. We specialize in everything from corporate building signage to yard and monument signs, and go to great lengths to ensure that your sign complements existing architecture or meets municipal criteria. Vehicle graphics are one of the simplest ways to create a strong presence in your community, one that gets reinforced again and again. Our qualified team is experienced at developing vehicle signage that makes effective use of this unique space and branding opportunity. When you have an unusual printing need, our team will work with you to make it happen, on time and on budget. Or, if you know you want to do something different for your brand but aren’t yet sure what that is, let Seven Barks brainstorm a few ideas with you. Ready when you are.